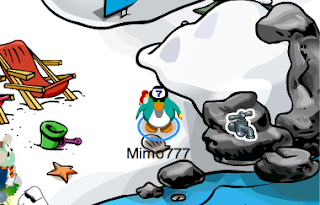 Club Penguin Cheats by Mimo777 Club Penguin Cheats by Mimo777: Club Penguin Pin Cheat - WATER TAP PIN! 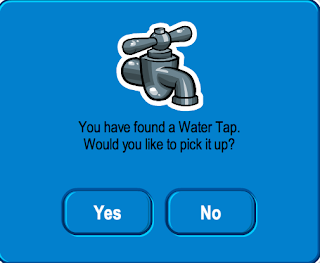 Club Penguin Pin Cheat - WATER TAP PIN! This can only mean one thing! Card-Jitsu Water! Woot! 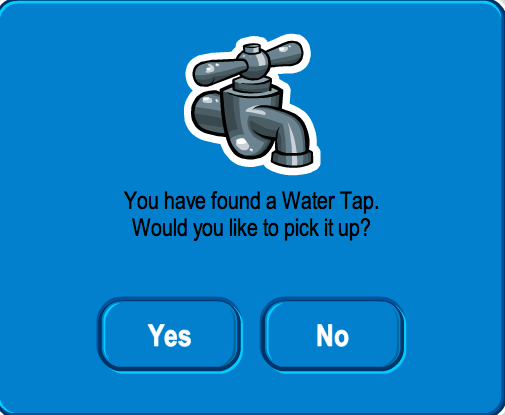 Here is how to find the new Club Penguin WATER TAP PIN cheat. Step 2. Now go to Beach. Step 3. Go to the far right corner. Here is how to find the Club Penguin GOLD FEATHER PIN cheat. 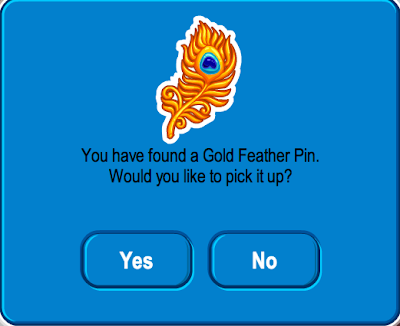 I don't know why this is happening, but whenever I play puffle rescue, I use the arrow keys and when I press them, sometimes I only go one space (normal) sometimes I wait like five seconds, then go one space, and sometimes I go two spaces. It's really annoying and I think it's only happening to me. Tell me what you think! Dance glitch fixed and if you put your mouse on the stampbook button but dont click it the words go crazy and change size and shape! Is that tap the reason there's so much water at the beach? P.S. About my previous comment, I meant that I had all the pins since the butterfly pin. mimo go to the ski hill the water is so high in the backround above the mountains! Awesome! yay for card jitsu water! I saw a new log in screen when i was just ab out to log in! It said "ninjas, get ready for a new challenge!" Card jitsu water will be so cool! Not just you. Happens to me all the time. I cant play like anything though because of this. very annoying. 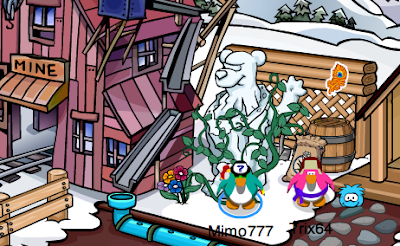 I hope CP fixes this glitch soon. Mimo, whos gonna be the last 2 CPG MODS. storm still in igloos? i went to my iloo to feded my puffles and i looked at the sky. it was still dark and cloudy like at the halloween party. i then went to the town and looked at the sky. still cloudy. storm lasting over halloween? you know how cp is almost all for members ever since disney took over? Well, I was looking at pixiehollow.com(no, im not a boy) thats owned by disney, and you can't do ANYTHING as a non member!! They had this trick or treating thing for halloween, and it's for members only! And members can adopt little pets, but non-members cant!! you havejust had a look at the future cp. maybe its gona be a flood because it has stuff for scuba diving in the catalog. i know the rain stuff cuz its gonna rain but what with the scuba diving. i predict flood. Found a glitch, dont know if it is just me but whenever I try to buy the new rainy day backround, it says I need a membership to buy it, even though at the top it still says availabe to all players. Hey Mimo! There is a new start up screen that says "Ninjas. Get ready for a new challange." Card jitsu water!!! Another proof of Card Jitsu Water! The job for this month features a mop and a bucket. This could also be a proof of Mimo's theory that the island will be flooded soon. go to the secret ninja place and stand on the big fire picture on the ground, the stone thing will start glowing! Excuse me, but I think this is pretty big. I tried to buy a background, and it said 'Only for members'! Has this happened to anyone else? Mimo! Guess what? On the membership page the link says cjwater1! Could it mean it is real? go to the ski hill! I think there will be a flood on the island, ahead of card jitsu water coming! Good job finding that, but that has always been there. I don't like the pin. I think Club Penguin Team is out of ideas! HEY MIMO! Do u think that the storm ("Club Penguin has never had rain before") has anything to do w/ Card Jitsu Water? I think it does! I've heard lots of awesome theories about how card jitsu water will come! That happens to me aswell! It's really annoying because I end up losing lives and losing the game because of it. I know! It's really tensing me up! I don't know if i'm gonna make it or if i'm gonna not make it! I'm sad to say it isn't a glitch, you actually have to have a membership to buy that background. Sorry to burst your bubble but that has happened since it was brought out last year.